Nexteer Automotive, is expanding its automated driving portfolio with the introduction of two new steering technologies that enable advanced safety and functions for Level 2-5 automated driving. The first technology is a high-availability EPS, with components intelligently optimized through additional redundancies in the torque and position sensors, electronic control units and winding motors, as well as dual sets of vehicle power and communication connectors. “As OEMs continue investment in high-availability EPS, the migration to steer-by-wire (SbW) becomes more cost-effective,” said Lubischer. 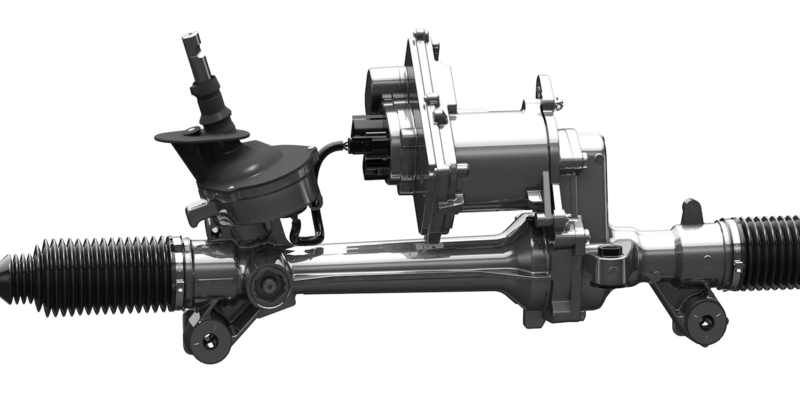 Nexteer’s SbW has been engineered to offer a wide range of steering feel, including lively road feedback, and can be customized to match an OEM’s brand character – from a sporty, high-performance experience to a luxury steering feel. SbW’s road feedback and road surface detection also help communicate to the driver that they are driving on an icy road or slipping on loose gravel, for example. “We enable easier SbW migration through our flexibility to support various packaging environments with our broad high-availability EPS portfolio. This is an advantage to customers, particularly during the transitional period when OEMs will likely carry SbW on a portion of a vehicle platform. An OEM can save a lot of investment and chassis redesign by leveraging high-availability EPS today with a future SbW migration in mind,” added Lubischer. SbW also opens new possibilities for advanced safety functions, such as collision avoidance, stability control and more. Advanced safety features can be implemented with the steering system alone or in combination with the braking system to achieve even higher safety levels. In line with this trend, Nexteer & Continental’s joint venture , CNXMotion, will combine Nexteer’s advanced steering systems with Continental’s advanced braking technologies to create new technologies for automated driving and ADAS. According to Lubischer, Nexteer considers its SbW to be a foundational technology and is exploring ways to create “well-informed steering systems” of the future to increase driver safety by gathering data from the driver, vehicle, road and environment to increase safe steering maneuvers.